If you’re a Star Wars fan and you’ve been following Disney news, chances are you’ve heard about the Star Wars fireworks show at Hollywood Studios, Symphony in the Stars. In accompaniment with that show, Disney is also offering a dessert party you can attend. If you’re looking for a fun and delicious way to celebrate an occasion, like a birthday or anniversary, then this might just be the thing for you! For $69 for adults (and kids aged 10 – 17) and $39 (kids aged 3 – 9) you get a special viewing location for the fireworks show as well as a fun Star Wars themed dessert buffet with specialty drinks, including alcoholic beverage options. Check out those Darth Vader cupcakes! Hollywood Studios park admission is required. You must check in at Center Stage. The venue is uncovered, but if the weather acts up, they may move indoors. This particular dessert party does not have seating, so be ready to stand for the show. They do accommodate wheelchairs and scooters, however. And just so you don’t forget this occasion, each guest receives a Chewbacca stein to take with them as a souvenir! This is a great fireworks show, and while the price might be a little steep for the average park-goer, it seems like a fun way to celebrate with someone who really loves Star Wars. If you’ve been, let us know what you thought of the dessert party in the comments! Here is your September 2015 Disney news round up! The biggest news this week is that this will be the final year for The Osborne Family Spectacle of Dancing Lights. While it will be very sad to see them go the best part is that Disney is giving notice. So if you had wanted to see them one last time or for the first time this will be your last chance. The Osborne Lights start in early November and will conclude on January 3, 2016. This change is due to the upcoming Toy Story Land and Star Wars themed land coming to Disney’s Hollywood Studios. Photo via Disney Parks Blog. If you are coming to see the lights there are two new seasonal offerings. The first is the Merry & Bright Dessert Party from November 6 to December 30. This will include holiday themed desserts. Next is the Merry & Bright Dinner Reception which is January 1-3, 2016. It will feature a selection of small bites like beef, shrimp, and turkey as well as beer, wine, and specialty beverages. Reservations can be made starting September 16. Let’s hop over to the west coast with news of a new Frozen inspired stage musical for Disney’s California Adventure Park. This show it due out in summer 2016 at the Hyperion Theater. Which means this show will be replacing the current Disney’s Aladdin- A Musical Spectacular” much to the sadness of many Disney fans. Aladdin will be finished on January 10, 2016. 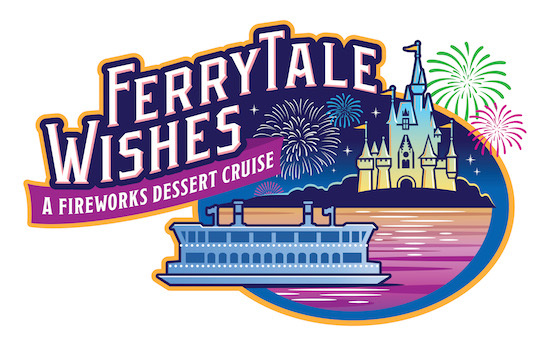 Lastly, there is a new special event at Walt Disney World, Ferrytale Wishes: A Fireworks Dessert Cruise. This cruise will take in the Wishes fireworks from a ferry on the Seven Seas Lagoon and feature plenty of sweat treats taken from resorts and the parks with the music piped into the ferry. It finishes with a toast of alcoholic and non-alcoholic beverages in a souvenir glow glass. Prices are $99 for adults and $69 for children 3-9 and reservations are available.